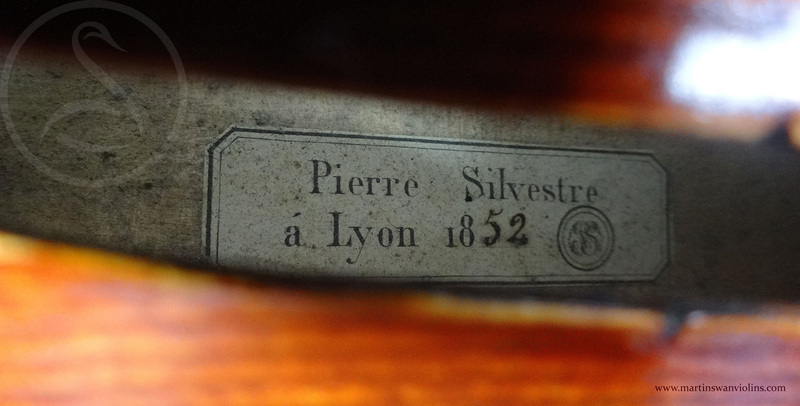 Pierre Silvestre is one of the greatest of French violin makers – he was direct successor to Lupot, and founder of the all-important Lyon school. I have a real soft spot for the Silvestres, but Pierre was the real talent! 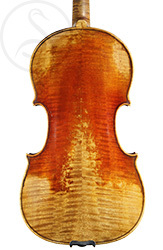 This violin is a rare Guarneri pattern, it’s in great condition if rather well-loved, and the sound is exceptional. 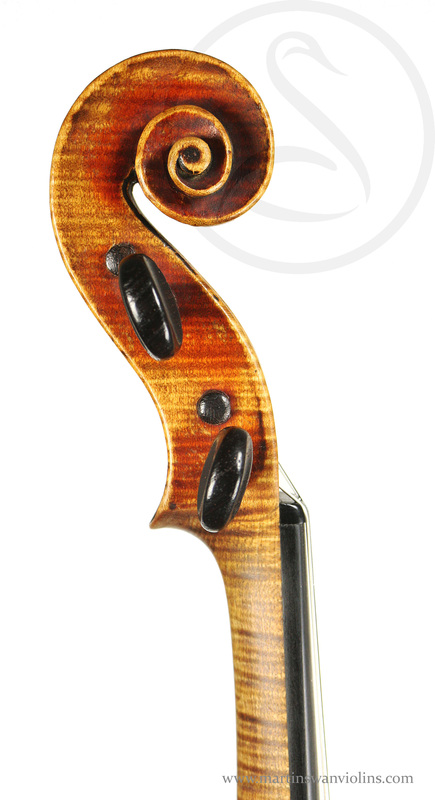 I always keep an eye out for Silvestre violins – they are quite as finely made as Vuillaumes, and often sound better. 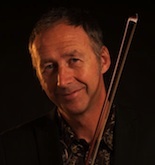 For me, French violin-making reached its summit with Nicolas Lupot, and Pierre Silvestre continued his tradition well into the 19th century, somewhat in competition with Vuillaume. The workmanship of this violin is exquisite – the scroll has the soft precision of Lupot, the edges and corners are exact but smooth, and there are pins half-set into the purfing. 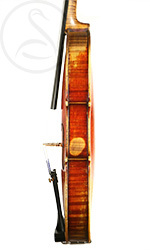 The del Gesu model can be seen primarily in the f-holes and the C bout curves, but also in the slight stretching of the scroll in the vertical dimenson. The condition is excellent – there’s some mashing of the treble c-bout edge and there’s one very neatly repaired crack above the bass f-hole, otherwise no cracks or repairs. The superb fiery-red varnish is abundant and well-preserved, though there are a couple of areas of “orchestral wear”. 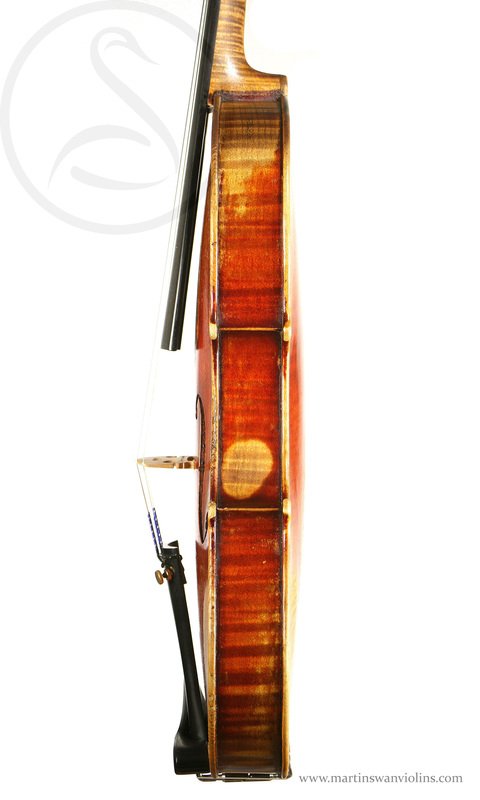 This violin is all about power – it has a big and clear voice of the sort I tend to think of as “the Juillard sound”. You need to be a big player to get on top of it, but it will do what it’s told – ask it in no uncertain terms, and it will answer decisively and firmly! It has great projection, and would be ideal for a young soloist who can’t quite afford a del Gesu. Excellent upper register, crisp and clean in fast passagework, and impossible to overload. 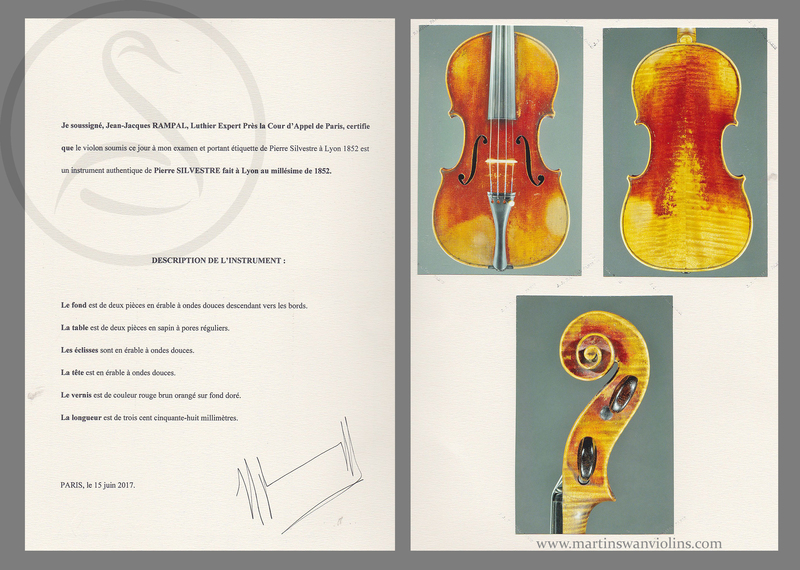 Interested in this Pierre Silvestre Violin? 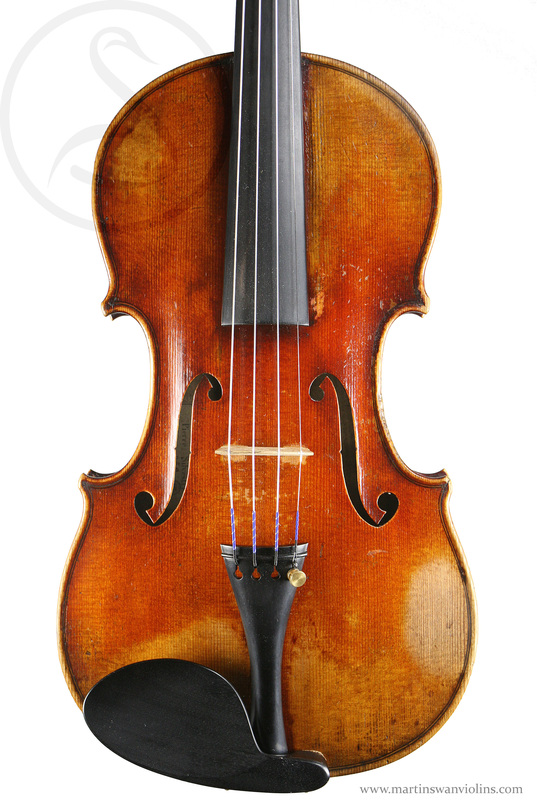 Look at our other rare violins.